iMovR's famous 3D-laminated ergo-contoured desk and tabletops are often used with 3rd party desk bases, either as an upgrade to an existing standing desk or as a DIY project. Because we make thousands of different tops—all milled and laminated to order in 5-7 business days—orders for these standalone tops must currently be placed over the phone at 888-208-6770. 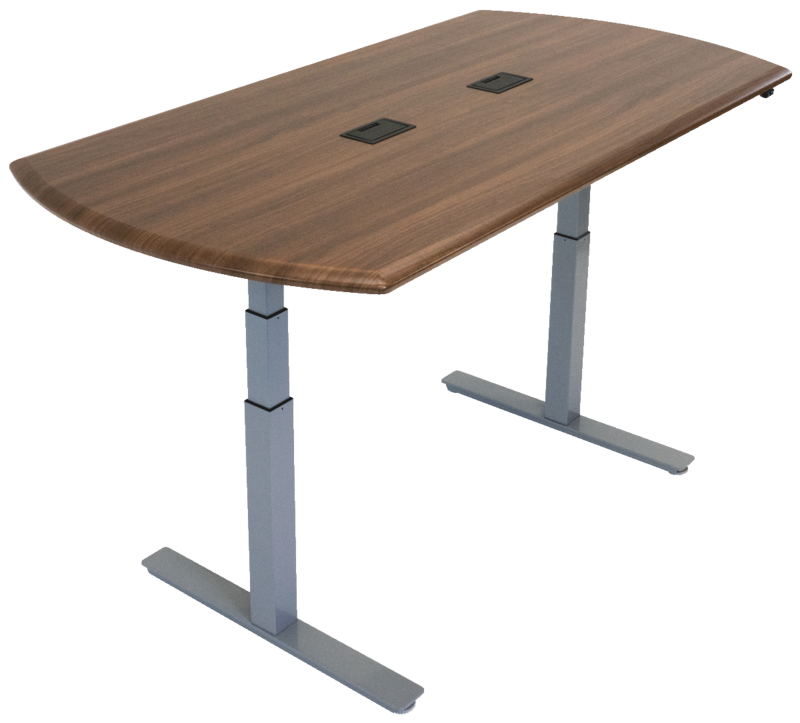 Tops are available in a wide range of sizes from 24" x 42" to 30" x 83", in thicknesses of either 3/4" or 1-1/8", as well as an array of corner desk configurations from 42" to 65", and conference table sizes from 30" x 72" to 42" x 96". 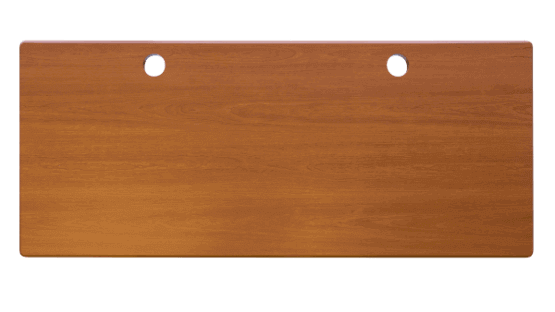 All tops are available in our eleven standard laminate colors with black melamine bottom surfaces. All 30" deep tops are available with or without a built-in SteadyType™ keyboard tray. We have hundreds of custom color options available for custom orders, with a 50 to 100 unit minimum, depending on the size of the top. All iMovR tops are predrilled—and in the case of 1-1/8" thick tops, insert nuts are installed to match up with the fixing pattern of the associated base. If matching an iMovR top with a non-iMovR base, you will need to drill your own holes and avoid any insert nuts. Unfortunately, we cannot at this time produce these tops without their associated hole patterns, grommet hole positions or sizes for small quantity orders. Standalone tops almost always ship on a freight pallet to avoid damage. Please note, there is a minimum pallet packing & freight charge of $135 for delivery in the Lower 48 States.